Many people experience hearing loss and struggle to adapt to the changes it can make to their lives. For some it can mean avoiding noisy environments and perhaps withdrawing more as social interaction becomes more difficult, resulting in loneliness and isolation. 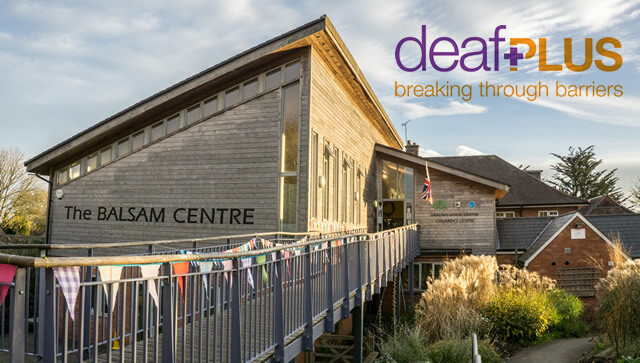 The Balsam Centre is delighted that deafPLUS is coming to us later this month to demonstrate various types of equipment that might help, as well as offering advice to anyone experiencing hearing difficulties. deafPLUS is a charity and their advice is free and impartial. They don’t perform hearing tests but they will be bringing their minibus with them, on which you can chat to their advisors and see the equipment and how it can help, from assistance with telephones, fire and baby alarms, to listening to the TV, loop systems etc., and simple maintenance of NHS hearing aids. Tuesday 17th July 11:30am to 2pm, at The Balsam Centre, Wincanton. If you are struggling with your hearing, and find you are becoming more isolated as a result, don’t forget the Balsam Centre offers various activities and opportunities to meet people, from the quiet Games Club to the Men’s Shed - come and chat with us to find out more.